March 21, 2019 /in windows /by John L.
Are you looking at your home’s windows and asking the age-old question: to replace or not to replace? If you’re considering buying replacement windows for your home, you may have a lot of questions. While buying replacement windows may seem like a large investment up front, it’s often a wise decision that saves you money in the long run. Buying replacement windows is a purchase that quickly pays you back by increasing your home’s value as well as your comfort and the quality of life inside your home, not to mention the savings on your energy bill. If you’re considering buying replacement windows, here’s what you need to know to determine if the time is right. When you’re ready, Weather Tight’s friendly product experts will help you choose the best replacement windows to suit the look of your home (as well as your budget). Is It Time for Buying Replacement Windows? There are a few areas to consider if you’re thinking of buying replacement windows for your home. The first step is to check out the condition of your current windows. First and foremost, look at the windows in your home. Are there cracks? Do they leak? Does a great deal of moisture accumulate in between the panes (different from the natural phenomenon of window condensation, which is generally harmless)? If your windows are broken, very old, in poor condition, or the glass is damaged, it’s definitely time to invest in replacement windows. New windows will improve the value, livability, and look of your home. Next, examine the window pane. Is the paint on the window sill flaking off? Does the wood appear cracked? Has the stain faded? 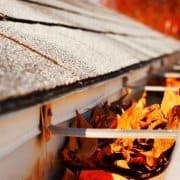 These are telltale signs your windows are no longer properly keeping heat inside your home in the winter and outside your home in the summer. While cracking wood and paint is often seen in older homes, it’s not uncommon to see poor window pane conditions in houses built in the last 20 years. Why? Because the materials used in many mass construction projects and planned communities are often not the highest quality. The next area of your window to examine is the inside casement and hardware. Is the window difficult to open? Does it stick or does it feature a crank that’s challenging to maneuver? Not only are hardware and casement issues frustrating to deal with, but they contribute to safety and security issues as well. It’s important windows open and close easily to let in fresh air and for ease of cleaning. It’s also imperative windows lock tightly when you need them to. Do you have air leaks around your window? Use a simple damp hand test around the window to see if you’re getting air loss. Simply wet your hand and hold it near the perimeter of the window. If you feel any cool air, it’s a big sign you’re experiencing air infiltration and air leakage. Another sign of faulty windows is a high energy bill. It’s difficult to tell if your bill has simply slowly risen over the years due to increasing energy costs or if it’s related to air leakage, but when you invest in quality replacement windows, your energy bill will almost certainly go down. Do you wear socks in your home all the time? Do you put plastic on your windows in the winter? Do you need a blanket whenever you’re enjoying movies on the couch? These little inconveniences may seem small, but they add up to less satisfaction and comfort in your home. Your home should be a place you relax and feel comfortable without reaching for a sweater. Does the look of your windows enhance your home’s curb appeal? Even if you don’t plan to sell your home or move, new windows are an excellent investment to increase the value and look of your house. Nothing brightens up a house like fresh, new windows, especially when Weather Tight will ensure your replacement windows blend seamlessly with your home. There are many replacement window options out there, but it’s Weather Tights’ dedication to customer service and the Wisconsin community that’s made us Wisconsin’s Most Recommended Home Remodeler. Our replacement windows are backed by a lifetime transferable warranty to give you peace of mind in your investment. If you’re ready to replace your windows and give your home a facelift, Weather Tight is ready to help. We offer a free in-home assessment where we’ll look at the performance of your current windows and discuss the possibilities as well as options, so you can make an educated decision regarding this household purchase. As you look into buying replacement windows, you’ll find you have many choices. With Weather Tight, every window is custom manufactured to fit the look and style of your home. An expert will work with you to come up with a plan for your home and design your windows around your needs. At Weather Tight, we offer beautiful energy-efficient replacement windows with endless options for customization to fit the look and style of your home. Using patented designs from Restorations, our replacement windows offer minimal frames to enhance your view by up to 30%! For durability and reliability, there’s no better window pane material than vinyl. The amazing aspect of vinyl is it’s both strong and flexible. Replacement windows of the past often included heavy, bulky frames to hold the panes of thick glass in place. Now with modern technology, windows are lightweight, and frames no longer need to be bulky. With fusion welding, each piece of vinyl is fused together, creating a frame that won’t leak or wear out. This ensures high performance and reliability for the life of your window. The frames are also insulated with environmentally-friendly, CFC-free polyurethane, making them the most energy efficient windows on the market. Our airtight windows protect against the worst of weather and keep your home dry, temperature controlled, and comfortable (not to mention the savings on your energy bill). While function is important, of course, customers are often concerned about the aesthetics of window replacement as well. After all, you want windows to fit the look and feel of your home. If you’re only replacing some of your windows or including exterior updates, you want windows to blend in and match the rest of your home design. Weather Tight windows are available in a variety of different color combinations and woodgrains to ensure each window matches your homes exterior and blends seamlessly with the look of your house. 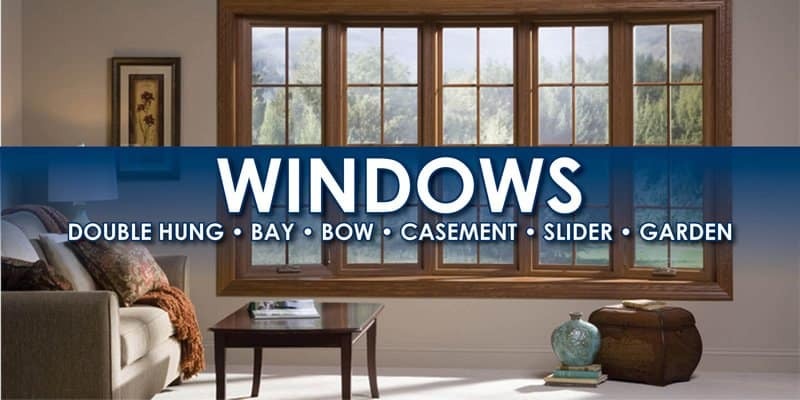 Choose from window options including double hung, full frame, sliding, casement, bow, and bay windows. We also can work with condo & homeowner associations to color match your window needs. Thanks to the energy efficient triple-pane glass in our sliding and casement windows, Weather Tight vinyl replacement windows offer the best air infiltration rates available. Our windows offer convenience, easy cleaning, and updated hardware for improved security. Select windows with specialty tempered safety glass or glass to prevent UV rays from fading furniture and carpets. Thermal pane windows are filled with noble argon gas, which improves thermal efficiency and lasts for many years. Are there windows in your home you’re not so fond of? The options for customization are endless. 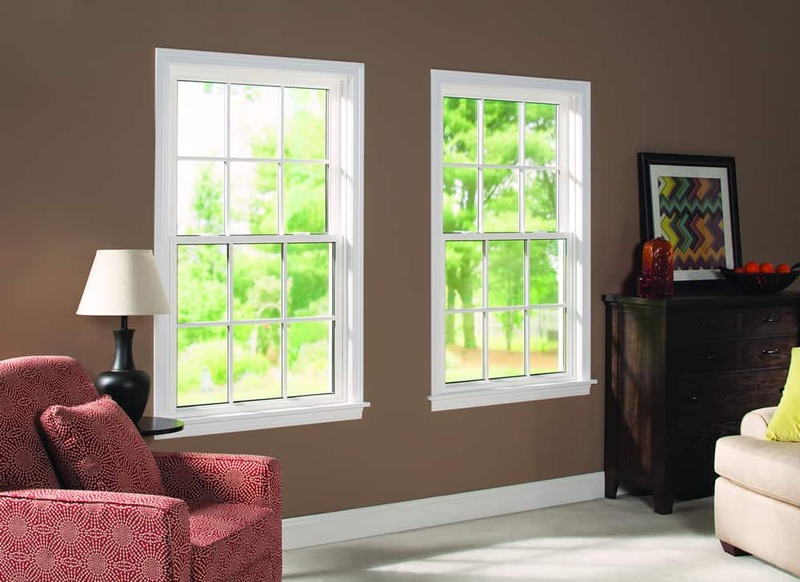 We can resize your windows, change the type of window, and ensure the trim fits perfectly with the look of your home. There are also many ways to reduce the cost of window replacement. In the long run, it’s a sound investment in the value, security, and enjoyment of your home. So, if you’re considering buying replacement windows, there’s no better time to explore your options. Reach out to one of our friendly Weather Tight customer service representatives today to schedule your free consultation. You’ll be glad you did! Energy Efficient Windows- Zany Ways They Give You More for Less! WANTED! WEATHER TIGHT IS HIRING!